HomeFIDE Grand Prix 2017FIDE Grand Prix, Sharjah 2017: Mamedyarov Beats Adams to join Vachier-Lagrave in the Lead. Li also wins vs Tomashesky; draws in the other games, including a 67-move battle between Eljanov and Hou. 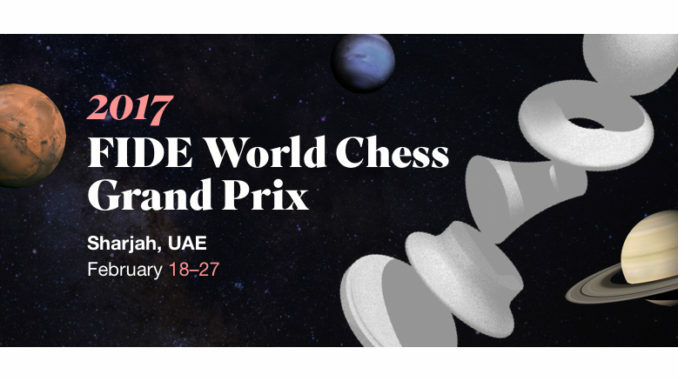 Round four of the FIDE Grand Prix in Sharjah, was played on February 21st. It saw Shakhriyar Mamedyarov winning against Michael Adams to join Maxime Vachier-Lagrave in the lead. Chao Li also won in this round, taking a point from Evgeny Tomashevsky, after the Russian got himself into a bit of a pickle. Michael Adams managed to equalise very well against Shakhriyar Mamedyarov, in the Queen’s Gambit Declined, Exchange Variation. White misplayed things a little and this resulted in Black actually obtaining the best of things. However, after Mamedyarov’s 20.b3, Adams’ 20…Rad8(? …Na5) was a little misguided and handed the initiative back, ultimately seeing White pick up a knight for a few pawns. Mamedyarov vs Adams, after 30.Qe5? 30…Qd3 gives Black chances to draw, with the White Queen still having to defend the Nc3. Black played the inferior 30…Qe6 and lost. Unfortunately for Adams, he opted for the inferior 30…Qe6(?) which took the pressure off of the White knight. Crucially, this allowed White’s Qb8+ followed by Qxa7 after which Black was up against it. Adams’ position went rapidly from bad to worse, his 35…f5(?? …b4 was the best try) a very bad error, which allowed Mamedyarov to exchange rooks and win another pawn. From here, there was little that Black could throw at White and Adams was soon resigning. Evgeny Tomashevsky ended up getting himself in quite a mess against Chao Li. Playing Black in the Queen’s Indian, the Russian became very passive and his pieces were not the best placed. Then, to top it off, he shut in his light-squared bishop, which had been one of his better pieces. Li built up quite some pressure in the centre and on the Queenside, and was looking very good when he began to push. However, this was not all of the story, 32.Qb3 would have been a better choice than his 32.Bxa8. Li’s choice was not ‘bad’ exactly, but it needlessly allowed Tomashevsky’s 32…Nxc3 which forked White’s Queen and rook. After 33.Qb3, Tomashevsky inexplicably chose to capture White’s bishop rather than his rook, though and was simply losing. It has to be said that even after capturing the rook, White would still have had by far the better position, but to refuse it in favour of the bishop was a serious error by Black. Li soon had the point. The other games were drawn, but saw Yifan Hou and Pavel Eljanov get into a 67-mover. Black (Hou) will have been the more satisfied from the opening, which saw her with better development and Eljanov with not one but two rather muted bishops. He managed to exchange one off, but this was at the cost of time. Hou’s mistake came with her 40…f6(?) 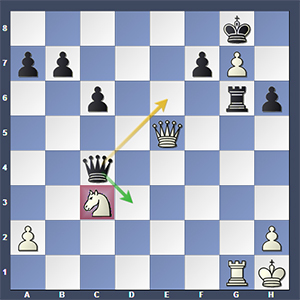 which opened the door for Eljanov, giving him a passed pawn on the f-file. 47.f7 or 47.Ne5 were slightly more ambitious than his 45.Ne3, though, which allowed Hou to solve her problems. There was nothing separating them from then on. White built up a good position in the Grunfeld of Jakovenko-Li. This included the two bishops, but White was unable to do anything with it. Black thrust his pawns on the Kingside, which is slightly risky, but worked out ok. In the end it was quite a comfortable hold, as Li was able to exchange down and this resulted in a rather safe position for both. They shook hands in 29. Not much happened in the other games. 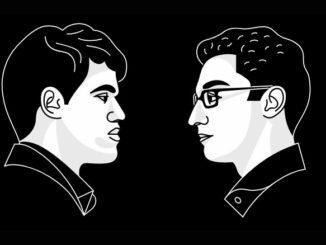 Hikaru Nakamura and Maxime Vachier-Lagrave didn’t really get into their Moscow Sicilian, which was an 18-move draw. Not much happened in the English opening of Aronian-Riazantsev, or the Najdorf of Nepomniachtchi-Grischuk, either. Jon Ludvig Hammer secured his fourth draw as White against Francisco Vallejo Pons. It was a rather safe affair in which neither player tried very much. After two losses on the spin, Richard Rapport picked up a half point against Saleh Salem. Their game saw rapid liquidation in a Queen’s pawn opening and they shook hands in 26. 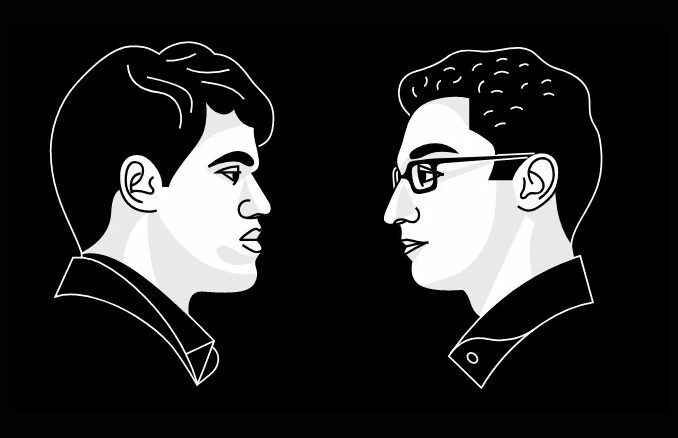 At the end of the round, then, Shakhriyar Mamedyarov had joined Maxime Vachier-Lagrave in the lead of the tournament, closely followed by Hikaru Nakamura.